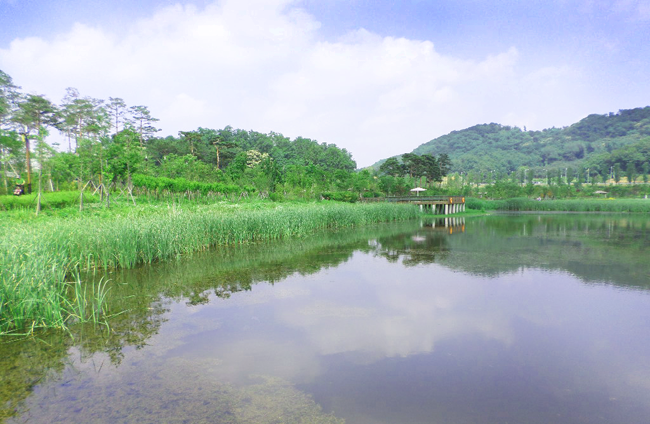 Pureun Arboretum, which underwent construction in 2009 and was opened to the public in 2013, is Seoul’s first eco-friendly arboretum. Situated on a plot of land measuring 103,354㎡, the arboretum is equipped with 25 themed gardens, a forest education center, and a small library. The arboretum is currently conducting research on about 2,050 plants native to Korea as well as plants from all around the world, and holds a variety of exhibitions and classes. In addition to its more structured programs, the diverse fauna and flora of the arboretum, as well as its varying landscapes and ponds, act as the perfect setting for visitors to learn more about nature. 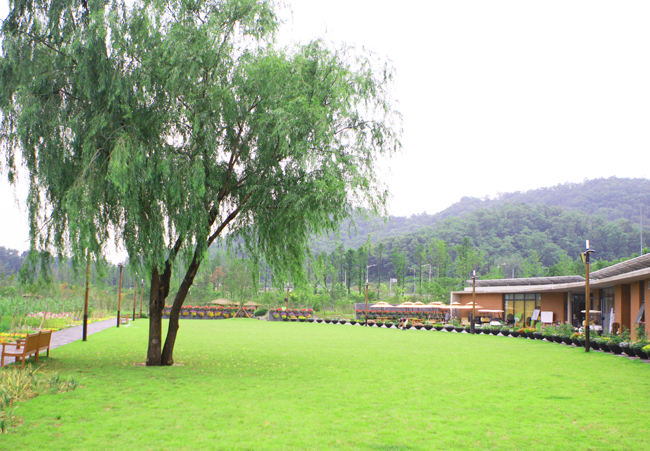 The construction of the Pureun Arboretum began as part of the Korea Forest Service’s “One Arboretum Per City” project, an initiative that sought to give the public increased opportunities to learn more about nature and prevent damage to the natural ecosystem in Limited Development Areas. Even in its early planning stages, the Pureun Arboretum was envisioned as a comprehensive arboretum focusing on collecting, proliferating, preserving, and managing plant resources, while also acting as a host for exhibitions and educational programs. The project became part of the “Making Seoul Greener” campaign, through which arboretums were built featuring “four season” themed gardens, a forest learning center with classes all year round, and a community center where citizens could connect with nature and each other. The arboretum is not simply a beautiful collection of exotic plants; it is a center for the procurement and exhibition of plants and a place of higher education, both indoors and out. . Plants are some of the most basic and often overlooked organisms in our ecosystem, without which we, and other animals, could not survive. Pureun Arboretum is an arboretum that exemplifies clean management and cultivation practices, allowing different ecosystems to thrive in the same area. Please observe the following for the preservation of the arboretum. Do not enter places other than flower gardens and areas open to visitors. Do not take plants, seeds, soil, or stones from the arboretum. Do not smoke or drink alcohol in the arboretum. Loud noises and religious activities are not permitted within the arboretum. Food and fruits, plant collecting tools, camera tripods, flammable items, toys and exercise equipment, picnic blankets, acoustic devices, and musical instruments, etc. Since parking is limited, visitors are recommended to take public transportation.